“Un hecho histórico”, ha asegurado Philippe Le Houérou, Presidente Ejecutivo de IFC. “Creemos que, en estos momentos, hay potencial para generalizar la inversión de impacto. Tenemos grandes ambiciones. 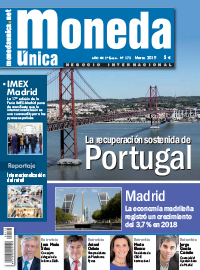 Queremos que se destine mucho más dinero al impacto en desarrollo sostenible porque no tenemos tiempo que perder en lo que se refiere a proteger nuestro planeta y a las comunidades de todo el mundo”. Las primeras instituciones en adoptar los Principios operativos para una inversión de impacto son las siguientes: IFC, Actis, Acumen Capital Partners, AlphaMundi Group, Amundi, AXA Investment Managers, Baiterek National Managing Holding JSC, Belgian Investment Company for Developing Countries (BIO), Blue like an Orange Sustainable Capital, BlueOrchard Finance Ltd., BNP Paribas Asset Management, Calvert Impact Capital, Capria Ventures, Cardano Development B.V. (ILX fund and TCX), CDC Group plc., CDP – Cassa Depositi e Prestiti, COFIDES, Community Investment Management (CIM), Cordiant Capital, Credit Suisse, DEG – Deutsche Entwicklungs- und Investitionsgesellschaft mbH, Development Bank of Latin America (CAF), European Bank for Reconstruction and Development (EBRD), European Development Finance Institutions (EDFI), European Investment Bank (EIB), FinDev Canada, Finnfund, Flat World Partners, FMO – the Netherlands Development Finance Company, IDB Invest, Member of the Inter-American Development Bank, IFC Asset Management Company (AMC), IFU – Investment Fund for Developing Countries, Incofin Investment Management, Investisseurs & Partenaires – I&P, Islamic Corporation for the Development of the Private Sector, Member of IsDB Group, Kohlberg Kravis Roberts & Co. L.P., LeapFrog Investments, LGT Impact, LGT Venture Philanthropy, MicroVest Capital Management, Multilateral Investment Guarantee Agency (MIGA), Norfund, Nuveen, Obviam, Oesterreichische Entwicklungsbank AG (OeEB), Overseas Private Investment Corporation (OPIC), Partners Group, Phatisa, Proparco, Prudential Financial Inc., responsAbility, STOA Infra & Energy, Swedfund, Swiss Infestment Fund for Emerging Markets (SIFEM), The Rise Fund, The Rock Creek Group, UBS, Water.org, WaterEquity, Zurich Insurance Group Ltd.